Contact our team today to find out how Fleet Gps Tracking can provide special deals to save you time and $$$. This is what got Freeway Automotive started – GPS Fleet Installs. We now install for the industry’s largest providers of Fleet Management & Tracking solutions. We’ve installed over 1000 of GPS units in fleet vehicles across Western Canada, so you know you are getting a team with the best knowledge in the industry. Still learning about Fleet Management and GPS tracking? Contact us today for a consultation. We not only offer installation of GPS units, but can provide you tracking, hardware and everything else you need to get your small or medium fleet tracked by the power of GPS. 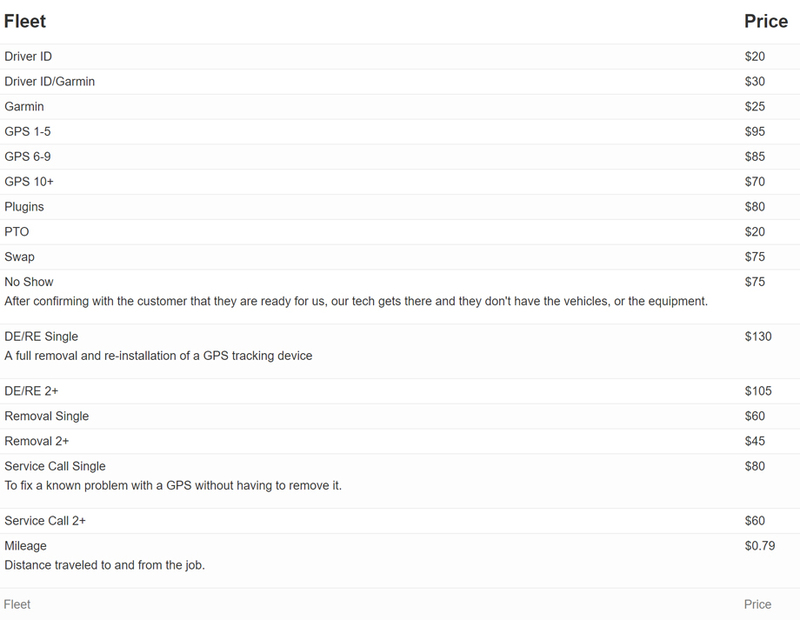 You may not know, but there are some great extra features available with todays Fleet GPS Tracking. We’ve listed a few. Give us a call to find out what we can do for your fleet.